Manchester City splashed out a club record £57 million transfer fee to secure the services of Aymeric Laporte, paying the full release clause valuation at La Liga side Athletic Club Bilbao, but did so without a single shred of hesitation. This wasn’t simply a case of the club flexing their financial muscle, but a thoroughly considered move for a top-quality player, who will be a genuine plus to the side for many years to come. Txiki Begiristain and Pep Guardiola knew exactly what they were getting for the money, with both having carefully monitored the talented young defender for a number of years. Guardiola had already departed from his hugely successful period as Barcelona manager, taking a break from the game for a year, when Laporte made his La Liga debut with Athletic Bilbao on 9th December 2012. Importantly, a then raw 18-year-old was handed that debut by none other than Marcelo Bielsa, a manager who Pep still regards as his own greatest coaching influence. “My admiration for Marcelo Bielsa is huge because he makes players much, much better,” the City boss commented with utmost respect in 2017. It’s no surprise that Laporte was continually linked with Bayern Munich, when Guardiola returned to management with the Bundesliga giants in 2013, and whilst Bielsa had departed Athletic Bilbao by then, his replacement at the Basque club, Ernesto Valverde, continued the tutelage of a teenage defender whose impressive progress was attracting attention of the biggest clubs throughout Europe. Indeed, since that second season at his former club, Laporte has been regarded as one of their most important players and by far the best centre-back, only missing games due to occasional injuries or suspensions. 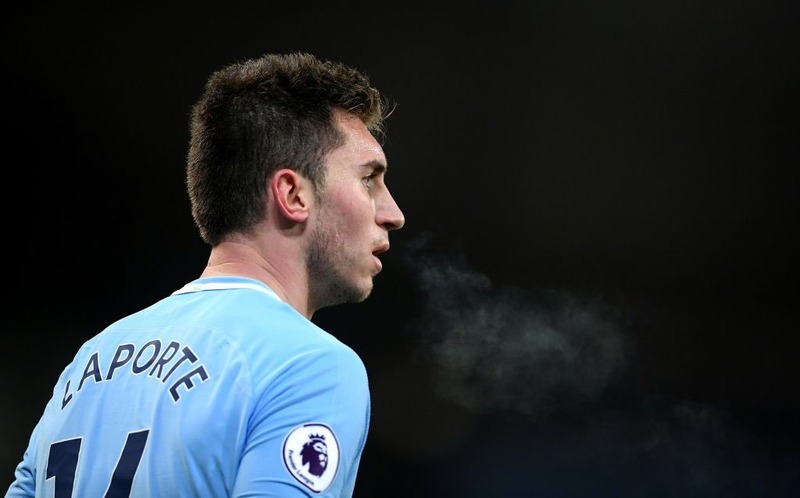 Laporte is now such an accomplished player, it’s hard to believe that arriving at City he’s still just 23, and doesn’t turn 24 until May 2018, by which time Pep’s team will have already wrapped up the title, which could potentially be just one of a remarkable quadruple of trophies the team is chasing during the 2017-18 campaign. Though he may be inexperienced when it comes to English football and may be rotated frequently with other defenders whilst he adapts, Laporte already boasts a wealth of professional top-flight experience which belies his youthful age. Of course, Pep wasted no time in handing Laporte his Premier League debut with City, just hours after completing the move, playing the full 90 minutes and helping his new team keep a clean sheet in a central defensive partnership with Nicolás Otamendi, as they secured a 3-0 victory at the Etihad Stadium on Wednesday 31st January. Nevertheless, he was an unused substitute as the manager rotated his squad for the 1-1 draw away at Burnley, as captain Vincent Kompany made his first league appearance since the end of December 2017. This would suggest that despite the hefty price tag, Guardiola will ease Laporte in and out of the side over the next couple of months, but as a natural part of rotations within a squad which has arguably showed signs of jadedness early in 2018. 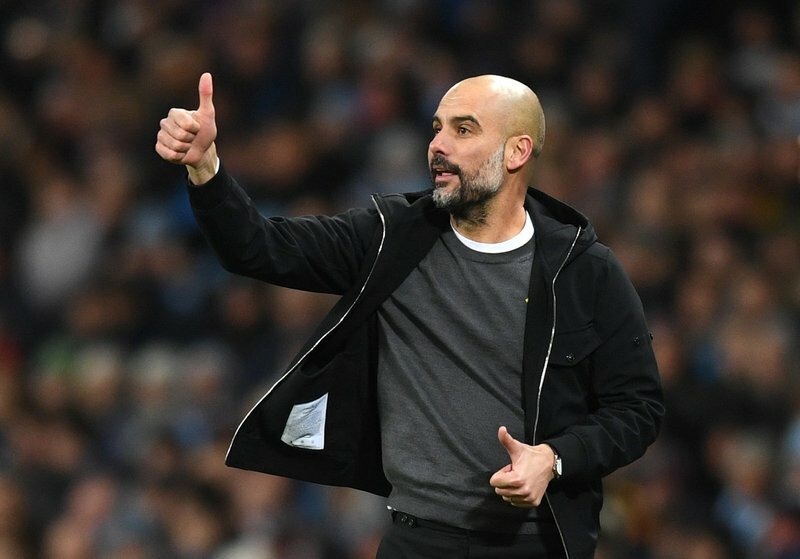 A growing injury list has also hindered attempts to maintain the dominant early-to-mid-season form displayed by the team, which is part and parcel of battling on four competition fronts, aiming to become the first ever English side to win the elusive quadruple of silverware this season; even if Pep coyly suggests the feat might be impossible. Whilst the possibility remains achievable, fans will continue to believe and hope this remains a historic season in the making. 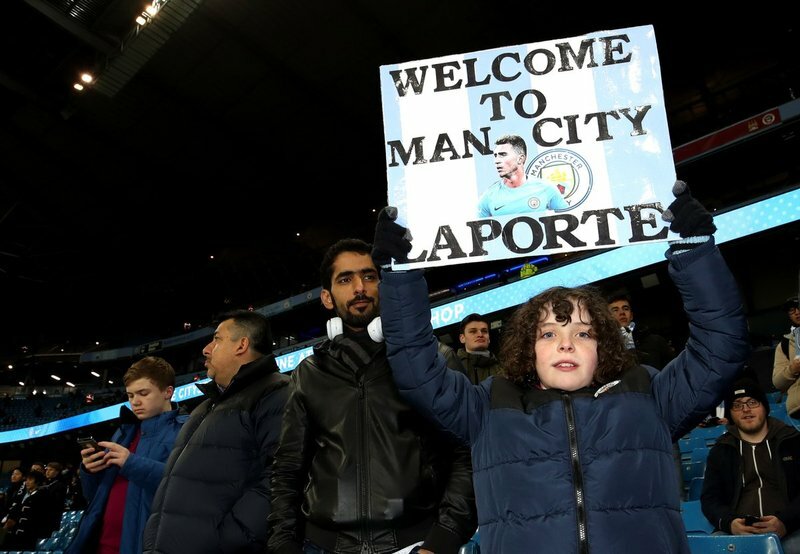 Speaking of City supporters, few will have been able to resist the inevitable banter and even mockery of frustrated United fans, especially given that they were also interested in Laporte for several years, reportedly to the extent that serious enquiries were made on numerous occasions, although Athletic Bilbao are notoriously stubborn when it comes to negotiations and stick to release clause values. Just like it happened when Argentine defender Otamendi arrived from Valencia in 2015, the Red Devils have once again missed the boat, trying to land a key transfer target who arrived in the blue side of town instead. Another reason to be pleased with such an excellent signing, who will only continue to develop and improve at City.